CHICAGO (CNS) — Pope Francis’ encyclical on the environment is “a watershed moment for the church, for humanity and for the planet” that the pope “calls our common home,” Chicago Archbishop Blase J. Cupich said. “It’s time for the church to be bold — to speak about major issues — and to achieve a new level of relevance in people’s lives,” Archbishop Cupich said. 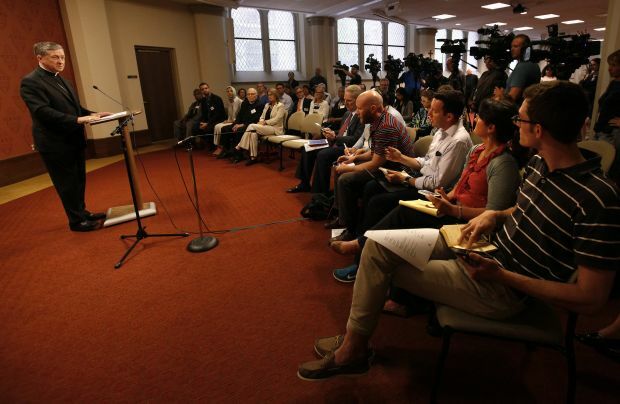 The news conference was attended by representatives from other religious traditions as well as environmental advocates who have been part of the Chicago Archdiocese’s encyclical working group, convened by the Office of Peace and Justice months ago. Catholic advocates emphasized that the 180-page document does not break new ground in terms of teaching about humanity’s responsibility to care for creation. Rather, it gathers evidence that the situation has become urgent, and that caring for the earth is a moral issue. That sin has led the earth to fall into “serious disrepair,” and that has a disproportionate effect on the poor and vulnerable, Archbishop Cupich said. “The pope is asking each of us, you and me, to take actions now — to build a worldwide culture of stewardship. He’s asking each of us, you and me, to begin by taking small steps, for example, to avoid the use of plastic, to recycle, to not waste food and to say grace before every meal so we are mindful of its origins and of those who will not, that day, have a meal before them,” Archbishop Cupich said.